How goes your file organization and management activity? If you’re lost in a sea of yellow folder icons that don’t offer much meaning, you’ll appreciate the innovation behind today’s discount software promotion, FileMarker.NET Pro! 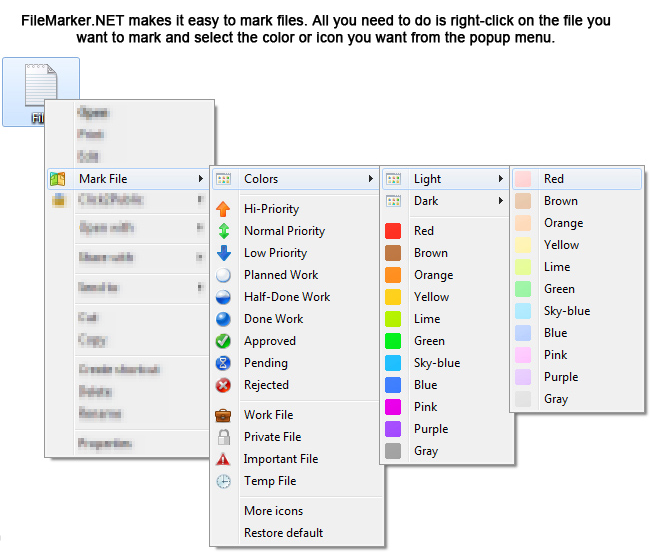 FileMarker.NET Pro enhances your file management abilities by allowing color-coded and image-coded icons indicating priority, status, and type of information with a glance. With FileMarker.NET Pro, you’ll be able to instantly know how far along a project is without even opening up the file. View all of your icons and know which files are work documents, important files, or private. Need to find a file? Get it done in just two clicks! The benefits of FileMarker.NET Pro are endless! Want to ensure your important files don’t get moved or deleted? Mark them with FileMarker.NET Pro! 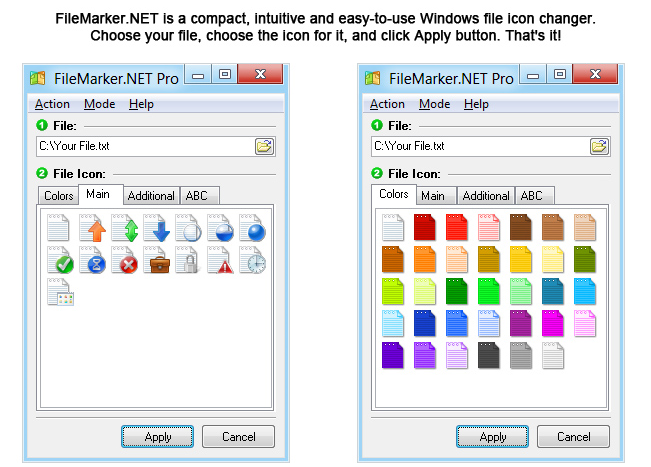 In all, FileMarker.NET Pro offers 16 icons and 36 marks with letters and numbers, perfect for all of your sorting needs. Best of all, you can get this done in a contextual menu, without having to launch the main program! 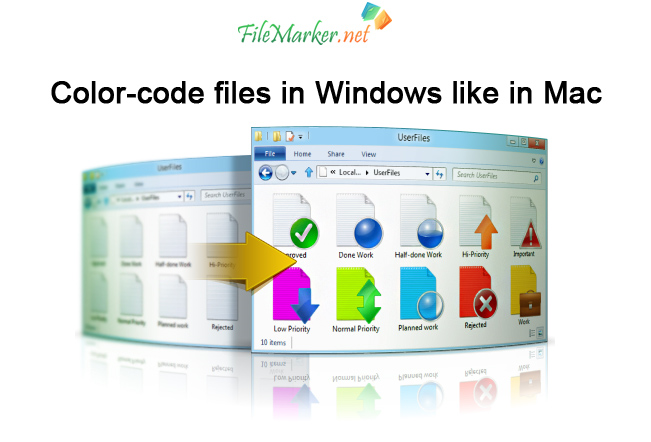 After you purchase FileMarker.NET Pro it may be used indefinitely. FileMarker.NET Pro is licensed per user, so if more people are going to use FileMarker.NET Pro you will need to purchase additional copies. Gary Smith I am hesitant to purchase this program because it appears that the developer does not answer some of the questions regarding the product, both here and on other offerings. When offered here back in March 2014, someone asked about mp3 files, jpeg or tiff files, but no response. It also does not work with ".bat" and ".cmd" files. What other file types does it not work with? Also, why not alert users that the file type they are attempting to select cannot be changed; instead, the program goes through the motions, then informs the user that the icon cannot be changed after the attempt is made. I have tested this version, and found that it takes over port 8080, which affects LAMP setups, such as xampp from working properly. There has been no explanation why port 8080 is needed by a program that its purpose is to change a file's icon. Some people have been confused about the program not undoing icon changes when it is uninstalled. Changing a file's icon involves changes in the System Registry. After the change is made, the existence of the program that caused the change is no longer important. The simple explanation is that the program does what you could do manually, if you knew what changes to make. So obviously, the changes made are not directly tied to the program that caused the changes. This program does offer the option to undo changes, which means it merely keeps track of changes it made so that it can also be used to undo those same changes. Of course, that option is not available once uninstalled. Maybe a simpler way of understanding it, is that it is not not a lot different from using any text editor to create a file on your hard drive. Other editors (e.g., Notepad, Notepad++, Sublime Text) could also have created the same file. Once created, the program that created it could be uninstalled, but it has no effect on the file created. The same goes for changes in the Registry, whether it be this program or any other. The version offered here (1.0) or (1.0.1, which came out November 01, 2013) has not been updated for a very long time, so the promises of future enhancements from back in 2014 have not been forthcoming. The changes suggested in Older Comments (add your own icons) would be the same as it is for the folder marker product by the same developer (the code has already been developed). Therefore, that enhancement would not merit a major version anyway, so any update should be free to purchasers of major version 1.0. I do not see this program as being worth the asking price. After all, it is often given away with a one year license. After the few icons you want changed are done, you don't really need it anymore. Even if it was only $5, until the port 8080 takeover is removed, I wouldn't bother. If the developer wants to continue selling this product, they need to step up to the plate and be responsive to potential users/purchasers.